UPDATE: Contest appears to be closed. 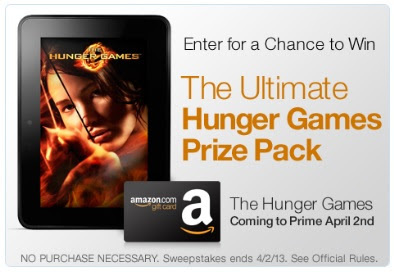 As part of the premiere of The Hunger Games on Amazon Prime on April 2, Amazon is running a contest for twelve Ultimate Hunger Games Prize Packs. There will be one grand prize winner and eleven first prize numbers. The grand prize package includes Hunger Game merchandise with a value of approximately $720 and the first prize packages include merchandise worth approximately $150. A few of the items included in the grand prize package are a Hunger Games trilogy book set, a gray Mockingjay wrist watch, a Hunger Games Slouchy Beanie and a Kindle Fire HD tablet. You can check out the complete prize lists on Amazon by clicking right here. How do you enter? The process doesn't look hard but you will have to Like the Amazon Instant Video Facebook fan page and Verify and Connect your Facebook account to Amazon. You can enter the contest on Amazon by clicking here. Unfortunately, this contest is valid only in the United States. You can read the rest of the Official Rules on Amazon by clicking here. Wouldn't you love to win a The Hunger Games prize pack? I know I would! Enter The Ultimate Hunger Games Prize Pack contest on Amazon. 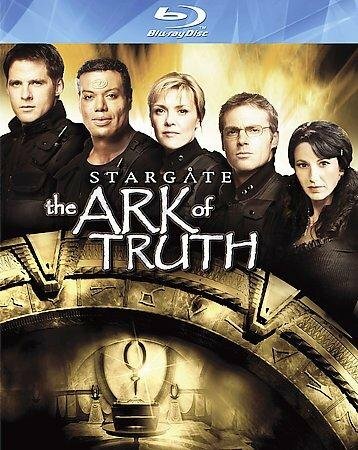 Stargate: The Ark of Truth was the first movie released after the Stargate television show ended. Fans like my sons were able to reunite with the characters and enjoy the elements that made the television series so successful. Amazon says that Stargate: The Ark of Truth "is all about the ride, and despite a few flaws (as was sometimes the case with the series, the script leans a bit too hard on exposition and techno babble), this movie is lots of fun." Order your copy of Stargate: The Ark of Truth from Amazon. Discover the best blu-ray movies. Who doesn't know the story of King Kong? The scene at the end set on top of the Empire State Building is one of the most famous scenes in movie history and, as Amazon says, "celebrates both the technical and emotional heights that film can reach." King Kong sounds like an interesting movie to see in blu-ray format. 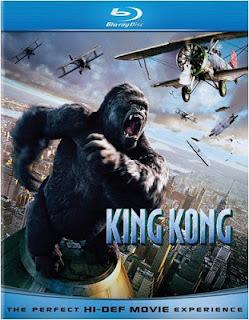 Click here to learn more about King Kong on blu-ray disc on Amazon. Uncover the best-ever blu-ray discs. 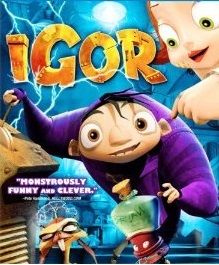 Igor was released on September 19th, 2008, and received a Parental Guidance (PG) rating for thematic elements, scary images, action and mild language. The reviews I read suggested that this film was not appropriate for young children because of the content. It is instead considered to be a tween-friendly movie. More scary movies for tweens. The Bourne Trilogy is a blu-ray movie boxed set that is popular, especially with male action movie fans like the three men in my home. 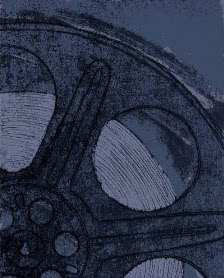 The Bourne movies -- including The Bourne Identity, The Bourne Supremacy and The Bourne Ultimatum -- are excellent films and contain plenty of action, suspense, bad guys and even a love story. You cannot go wrong with this set if you are looking for three action-packed movies. 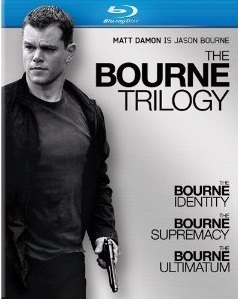 Order your The Bourne Trilogy boxed set from Amazon. Find a few other excellent movie boxed sets on blu-ray disc. As a child, we watched The Wizard of Oz with Judy Garland every fall when it aired on television. That was the only way that we had to watch movies then and you can be sure that we never missed an airing of this particular classic musical film. Because of our regular viewing of this movie, I have a long history with the flying monkeys. I know that some people really get a kick out of them and some people simply do NOT like them at all! I have yet to 'meet' the flying monkeys in Disney's Oz: The Great and Powerful, which opens in movie theatres this week on March 8, 2013 but I am expecting them to be no less than very scary. 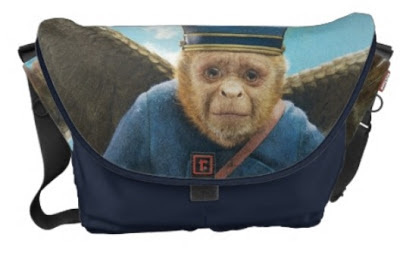 For those of you who like the Flying Monkeys, you will love this Flying Monkey messenger bag from Zazzle. If you don't like them it is quite understandable that you will NOT like this bag but you might find another Oz themed item you like from the officially licensed merchandise on Zazzle by clicking here. Click here to buy your Flying Monkeys bag from Zazzle. Read more on New Wizard of Oz Movies.